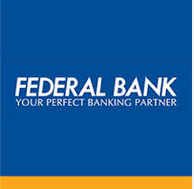 Federal Bank has published a Advertisement for below mentioned Posts 2015. Check below for more details. Educational Qualification : Candidates should possess Graduation/ Post Graduation in Law with minimum 50% marks from a recognized university/ Institution for post 1, MCA/ BE/ B.Tech/ M.Tech/ M.Sc in Computer Science/ Information Technology/ Electronics & Communication with minimum 60% marks from a recognized university/ Institution for post 2 with relevant experience. Age Limit : Candidates age should not be exceeded 30 years for post 1, 28 years as on 01-07-2015. Selection Process : Candidates will be selected based on Group Discussion and Personal Interview/ any other mode of selection to be decided by the Bank. Starting Date to Apply Online: 15-09-2015. Last Date to Apply Online: 30-09-2015. Educational Qualification : Candidates should possess Graduation in any discipline with minimum 60% marks from any recognized university or other institutions established by an Act of Parliament or declared to be deemed as a University under Section 3 of U G C Act, 1956 & should have obtained minimum 60% marks for SSC or equivalent exam & Plus 2 or equivalent exam. Age Limit : Candidates age should be between 18 to 24 years as on 01-07-2015 i.e. candidates must have been born not earlier than 02-07-1991 and not later than 01-07-1997 (both days inclusive). Selection Process: Candidates will be selected based on Aptitude Test, Group Discussion and Personal Interview or any other mode of selection to be decided by the Bank. Application Fee: Candidates need to pay Rs. 600/- for General & Rs. 600/- for SC/ ST through online registration gateway by using Debit Cards (RuPay/ Visa/ MasterCard/ Maestro), Credit Cards, Internet Banking, IMPS, Cash Cards/ Mobile Wallets.